This is the long-term treatment without which the fibromyalgia will not improve. The mid-term treatment is made of all the drugs available to treat some of the symptoms for fibromyalgia . None of them are licensed to treat fibromyalgia as such. They fall in different categories and have different effects if any at all. 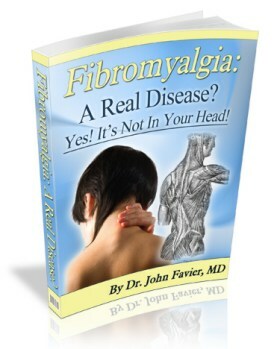 At best they have an effect in fibromyalgia that is usually not long lived. This effect, if any, tends to wear off with time. Often they have no effect at all and are given on a trial basis. What makes it difficult are the frequent side effects that often mimic fibromyalgia symptoms. Because their side effect can kick in before any beneficial effect they are often reported as making fibromyalgia worse. On their own, they tend to be disappointing in the long-term. I still use them in patients who are on the long term treatment to accelerate the betterment of some fibromyalgia symptoms. On their own, they also tend to be disappointing. They give a short term relief often followed by a rebound in fibromyalgia symptoms. This is what I call “paying for it”! At first a decreasing pain is welcomed but then you “pay for it” and the pain gets worse! Again, used in conjunction with the long-term treatment, they help getting through the fibromyalgia flares that occur so often in fibromyalgia. They also help to get through the periods of increased stresses that normally happen in our lives. Once again, listening carefully to fibromyalgia sufferers, has helped me understand their plight and respond to their demands and their needs. Treatment rests on the long-term treatment. Whilst fibromyalgia treatment rests on the long-term treatment it can be sped up by the mid-term treatment. Fibromyalgia breakthrough pain can benefit from the short-term treatment.